Mike & I love “junk art” – scrap metal, bits & pieces of broken machinery, damaged household items, and other “junk” transformed into three-dimensional artworks. Luckily, the nearby town of Sebastopol and the surrounding area is a junk art mecca. 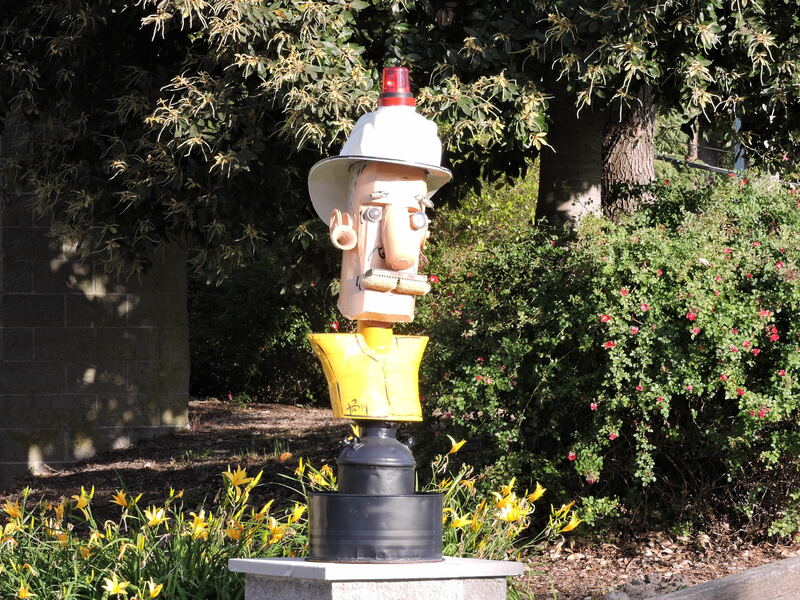 The front yards of the houses along Florence Avenue in Sebastopol are filled with junk art scuptures by Patrick Amiot (who lives and works in Sebastopol). You can drive slowly down Florence Avenue to see the artwork but we prefer to walk so we don’t miss anything. But not all junk art in Sebastopol is found on Florence Avenue. and this wonderful Noah’s Ark can be found in front of the Community Church. This entry was posted in Junk Art, Sonoma County CA on June 22, 2015 by admin.